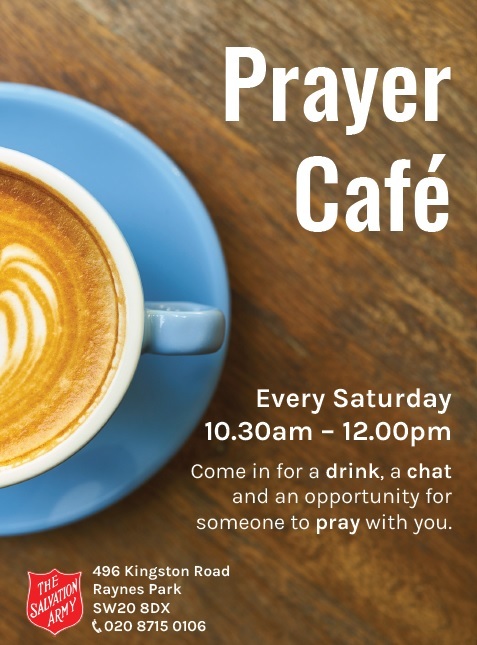 Saturday morning is Prayer Café. Join us for a drink, a chat and some prayer. Every Saturday at 496 Kingston Road, Raynes Park, SW20 8D. ıwant to join to your pray cafe group to improve my ınglish.. when shall ı join your group? Hi Gokhan, You can come along every Saturday morning. We will be there this coming Saturday and would love to see you!